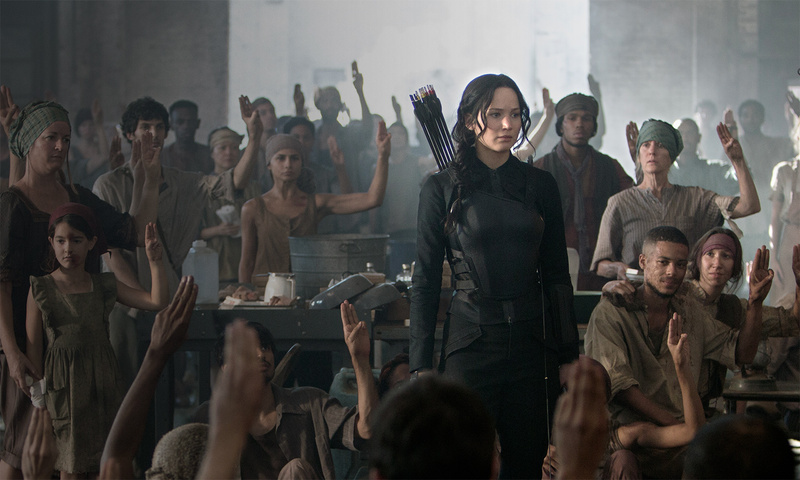 An all-new official trailer for The Hunger Games: Mockingjay Part 2 has been released. The epic finale is starting to look more fierce than anything we’ve seen in the saga before, as Katniss Everdeen (Oscar-winner Jennifer Lawrence) looks set to take her friends, Gale (Liam Hemsworth), Finnick (Sam Caflin), Peeta (Josh Hutcherson) and each District into the Capital in order to destroy President Snow, who has become increasingly obsessed with killing off Everdeen. It’s in this second trailer that we finally get a glimpse at the traps, enemies and moral choices that await Katniss, and which will challenge her more than any arena she faced in The Hunger Games, with the fight scenes featured mildly in the previous episodes coming to a head in this explosive end. Aside from this two-minute clip, the highly-anticipated final instalment is already raising tensions ahead of its November release through a combination of teaser trailers, promotional videos and warrior posters, in addition to the core cast’s (Lawrence, Hutcherson and Hemsworth) final panel at Comic Con two weeks ago. The Hunger Games: Mockingjay Part 2 will be released on November 20th 2015.